For acknowledgements, send a WhatsApp message to +91-8886040605 when you transfer. In 2006.Duke initially worked in an International Bank to support this Mission.Quit in 2008 even as God raised support from folks blessed by his ministry. To see the Google Generation transformed by the Gospel of Jesus Christ which we will proclaim through pulpit preaching, writing and counselling. 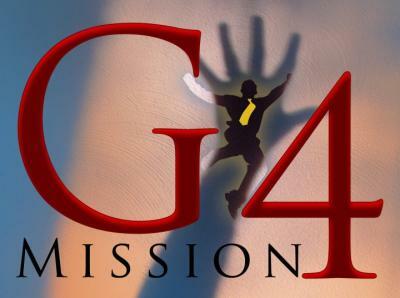 Thank you for the interest you have shown in sending a donation/subscription amount/payment for ministry products of the ministry founded by Duke Jeyaraj, called Grabbing the Google Generation from Gehenna (the Word Jesus used for hell) Mission - G4 Mission – the ministry that uses creative means to reach and disciple the modern youth, the Google Generation, the Yahoo-Youtube Youth, the Hotmail Herd, the Facebook Folk, the Twitter Troop! We would like to inform you that this ministry is a registered as a public religious trust with the Government and the accounts of this ministry are submitted to a Board which governs this ministry and thereafter submitted to the Government year after year after an audit. The financial support for this ministry comes from Indians who have been blessed by the preaching-writing ministry of Duke Jeyaraj and his wife who also strongly believe in the vision of this ministry, and NOT from any particular church or denomination or foreign organization. Please send a message/WhatsApp message to +91-8886040605 when you make a transfer for quick acknowledgement. Please leave your postal address with pin-code as well in that message. A ministry to present-day people, the Google Generation, founded by Duke Jeyaraj in 2006. Featured speaker in several church, corporate, college event throughout India. Spoken in Germany, Singapore, Bangladesh and Nepal in different gatherings. Spoken in certain TV channels and in Radio. Written in magazines/newspapers such as Blessing, Light of Life, Deccan Chronicle, etc. Founder-Editor-Writer of the Magazine, The Days Of Your Youth, a mag which wraps Bible Truth around contemporary events like Jesus did in Luke 13:1-5.